Coaches and fans alike expect every player to give it their all on the football field. 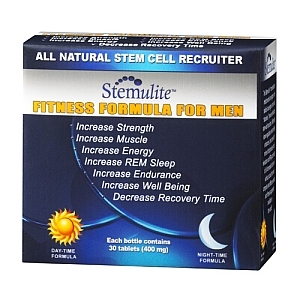 It takes a combination of great conditioning and safe and all-natural football supplements such as Stemulite Fitness Formula to reach peak performance. For the football player, being a step slow or a second late often means the difference between winning and losing. 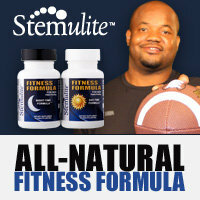 Natural ingredients in Stemulite Fitness Formula football supplements such as Melatonin and minute amounts of Indium encourage the kind of restful and rejuvenating sleep every player needs to take the field the next day. For out of town games (which occur 50% of the time), it’s important that the athlete can fall asleep quickly and completely and awake with a clear, sharp and focused mind. 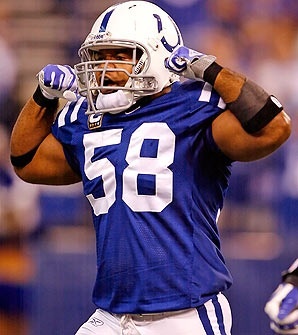 Gary Brackett, pro football player for the Indianapolis Colts and Super Bowl champ stands by Stemulite. Gary states, I'm actually getting stronger throughout my workout. Last year I could lift 315 pounds only 3 or 4 times. This year I can easily lift 315 in sets of 8. I'm not paid to endorse Stemulite. I put my name behind it because it really works. I recommend it to my team mates and other players." Like other sports, the football player understands that injuries are a part of the game. And they also know that having an injury that keeps them out of action gives their replacement time to shine and make a claim for more playing time. To keep their job, they need to shorten the time needed for their injury to heal. Beta Glucans (or B Glucans), such as those found in all-natural Stemulite Fitness Formula, speed up the body’s healing and restorative processes, allowing the athlete use the time between games to their best advantage. Another ingredient, Quercitin, guarantees protection against inflammation and allergic reactions as it helps modulate the immune system, fighting off nagging colds or the flu. With healing properties and a boost in energy to make the most of any workout, football supplements such as Stemulite can help every football player measure up to the constant demand of being bigger, faster and stronger. And taking such a fitness supplement on a regular basis (especially a 24 hour fitness formula) gives the football player a safe, all-natural product that can keep them in the game. And their backup on the sidelines! **These statements have not been evaluated by the Food and Drug Administration. This product is not intended to diagnose, treat, cure, or prevent disease. If you have any questions please feel free to contact us by email or by phone. We offer the highest quality products and customer service. Please call our telephone support line at 541-997-6100 anytime for fast courteous service.